Product prices and availability are accurate as of 2019-04-14 07:39:59 EDT and are subject to change. Any price and availability information displayed on http://www.amazon.com/ at the time of purchase will apply to the purchase of this product. In Learn PHP and MySQL for Beginners, we combine two courses into one training package. 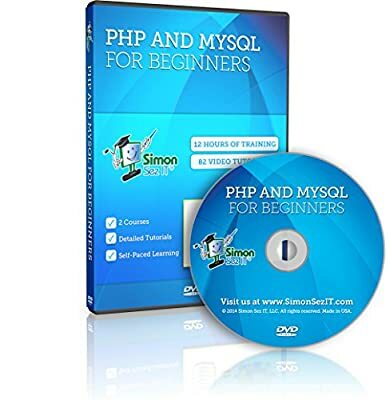 Discover how to use PHP and MySQL, a popular choice for developing powerful web applications! During the 6.5 hour PHP beginner course, discover the fundamental concepts beginner PHP developers need to master. Your professional instructor combines practical lectures that ensure you have a solid grasp of the basics with coding examples that include exercise files so you get real hands-on practice. Follow along as you learn the PHP syntax, development environment, and other basic concepts. Discover more advanced topics including database storage, object oriented development, using the standard PHP library, and basic SQL language commands. During the 5.5-hour MySQL beginner course, discover the fundamental concepts beginner MySQL administrators need to master. Your professional instructor combines practical lectures that ensure you have a solid grasp of the basics with practical examples that include exercise files so you get real hands on practice. Follow along as you learn how to install MySQL for the first time. Discover critical concepts for designing a database. Explore how to administrate a MySQL database including limiting access, creating users, database backup and performance monitoring. Then get ready to take your MySQL skills to the next level as you learn SQL for developers, database replication, data encryption and more. 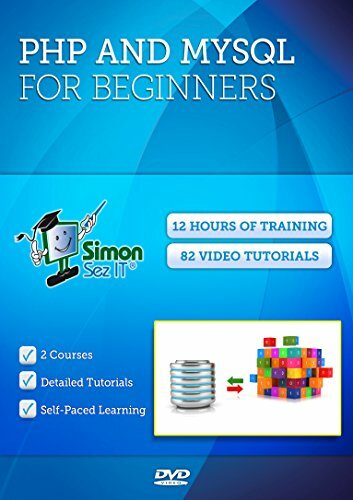 Each Simon Sez IT DVD offers hours of expert quality training videos for every level of computer experience. Each training video is recorded in high-resolution, providing picture-perfect quality. The self-paced learning environment allows for stress-free learning in the comfort of your own home or office. This is a computer DVD which is compatible with computers only. It will not work with a DVD player connected to a television. Includes computer based training for two self-paced training courses. 82 self-paced video tutorials with 12 hours of training. Compatible with Windows (PC) and Mac computers. High-resolution training movies for picture-perfect viewing. Pause, rewind and repeat the training.